Even with the success of Apple Pay, wallet cases are still an extremely popular choice for iPhone owners. They protect your handset, as well as hold your drivers license, debit/credit cards in case you can’t use Apple Pay, and cash in the event all other payment methods are unavailable. There are a lot of options out there, so we’ve decided to put together a roundup of what we believe are the best wallet cases for the iPhone X. We have picks for every budget and design preference, including thinner, minimal plastic wallet cases and larger, more premium leather cases. As you may know, the iPhone X features Qi wireless charging tech which allows you to recharge your iPhone on a compatible charging pad without the need to plug-in cables. What you may not know is that Qi uses electromagnetic induction, and of course anything involving magnets and credit cards is bad news. So if a case’s card slots sit between the back of your iPhone and the wireless pad, you may want to remove them before charging, or it could render your cards unreadable. Also, the thickness of your case can affect wireless charging efficiency, so that’s something to keep in mind as well. Twelve South has been making quality leather cases and products for years, and its BookBook for the iPhone X is a perfect blend of style and functionality. 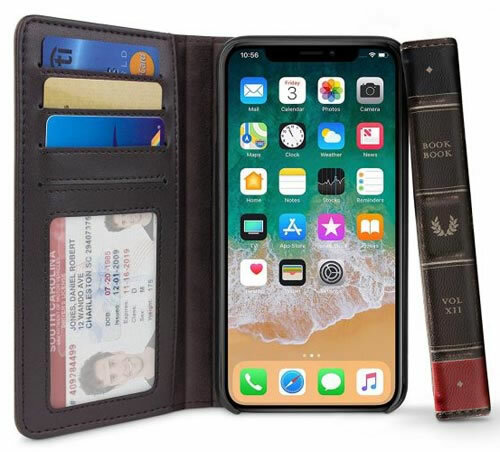 The iPhone X version features beautiful top grain leather, 4 card slots (including a transparent ID slot), a side pocket to stow cash, a removable protective shell, and it doubles as a viewing stand. 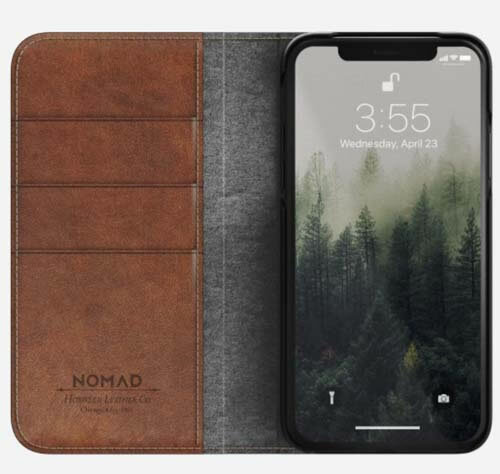 The Nomad Leather Folio case for iPhone X is made from luxurious Horween leather that’s manufactured in the U.S. With three card slots on the inside front cover, the leather iPhone wallet case gives you the opportunity to carry all your essential cards and your iPhone X in one place. It only comes in one color, and that’s rustic brown, but the case is wireless charging compatible, so you won’t need to take your iPhone X out of the case to fill up its juice. 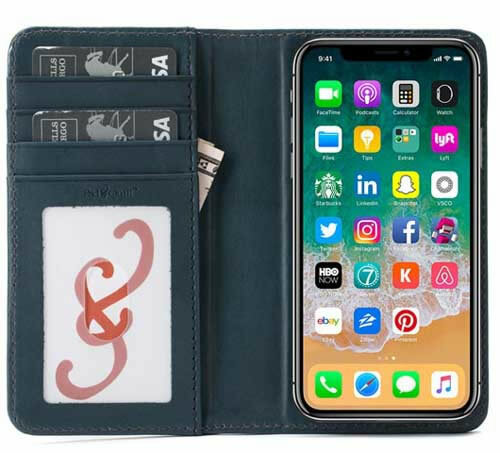 Pad and Quill’s Bella Fino wallet case is features luxurious full grain American leather, card slots with transparent ID pouch, cash slot, and a slim 0.28-inch profile. It looks sharp and can hold up to 5-7 card and cash. The silicone bumper case adheres to the 3M adhesive pad, which is strong and leaves no residue on your phone or the protective case. The Bella Fino is also wireless charging-compatible. From the makers of the iPhone X itself, comes a simple and beautiful wallet case that will fit your iPhone X perfectly. 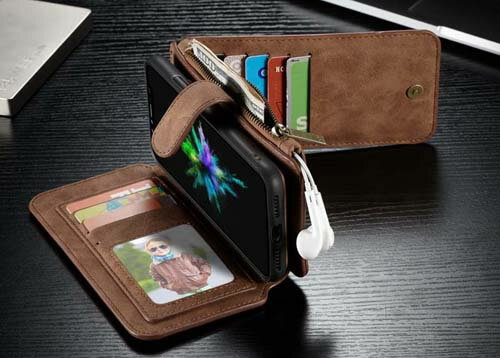 It’s made of specially tanned and finished European Leather, has a soft microfiber lining for your phone, and it has two large slots for multiple cards, cash and receipts. Also has Smart Cover-esque open-to-wake function. Want the flexibility of a basic shell case with the benefit of a wallet? Caseme offers a 2-in-1 case solution that acts as a folio wallet case for most activities, but can magnetically detach to use with an external mount or as a slimmer option. 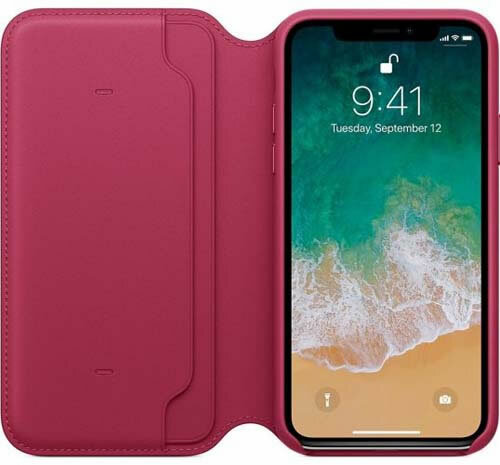 The case itself supports 8-10 cards (all shielded with RFID theft protection) and 5-10 bills in a side slot, and is covered in a variety of colored faux-leather looks.